A chop saw is a tool with a cutting blade designed for cutting any kind of raw materials – metal, wood, ceramics, PVC and many others. It is commonly used when pouring the foundation and cutting reinforcing bars, making paving slabs, adjusting clinker bricks. It is mostly used for professional works, as there is usually no need to cut something in large volumes at home. It also requires special skills as careless or improper use may cause injuries. 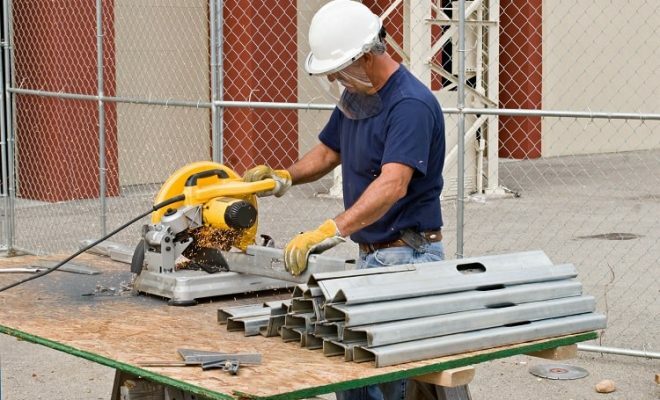 A metal-cutting saw is used mainly on construction sites for cutting bundles of reinforcement or stacks of wood – the diameter of the cutting wheel there is much bigger than at home. For domestic needs, there are compact models equipped with all kinds of protections and limiters for safe usage. Its special feature is a frame fixing the smooth blade movement and closed casing, reliably detaining blades in extreme situations. Chop saws even with the same external diameter can be different. The reason is differences in their mechanism. Therefore, we recommend paying attention to the width and cutting depth. For cutting at a certain angle, most models of saws have jaws. When cutting thick parts, the load on the saw increases and rotations decrease. To ensure the stable cutting quality, manufacturers have developed an electronic system for monitoring the constant number of rotations under load. The smooth start function allows reducing the load on the electrical grid when turning on the electric engine. This is especially important for a powerful tool. If you plan to use a chop saw quite often, then the function of self-replacement of carbon brushes is very useful. It will save you from visiting the service center often. A belt drive is a special mechanism for protection from overloading. The engine is out and the belt starts slipping if the load on the engine exceeds the optimal value. This saves the engine from overheating and its resource increases. But such a tool is better called a cutting machine as it weighs about 50 kg. Speaking of weight. It is quite different depending on a chop saw model. Conditionally all saws are divided into those that weigh less than 44 lbs and weighting more than 110 lbs. Do not forget about this when choosing and ordering a chop saw. In the market, you may also find a tool called a pendulum metal chop saw. Its main difference from other modifications is that it provides a cleaner, burr-free cut. This simple construction consists of a frame that the saw is attached to with a movable joint. The operator puts a blank on the frame and clamps it with jaws at the right angle. Then he turns the saw on and lowers the saw to where he needs to cut using a special handle. 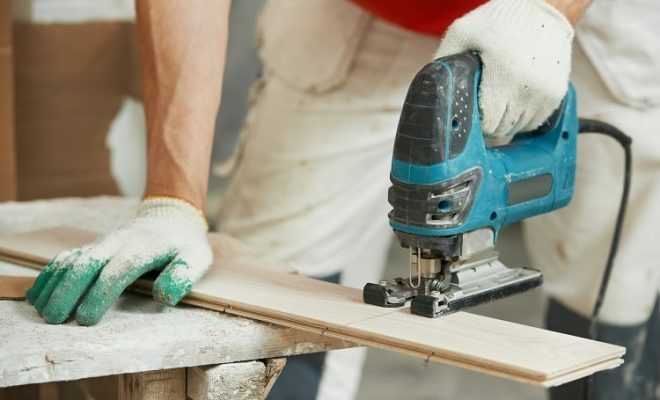 The choice of the saw model and the set of functions depends on the set task – the scope of domestic works maybe not so large to buy an expensive chop saw for one-time use. For repair, we recommend using cutters and electric jigsaws. 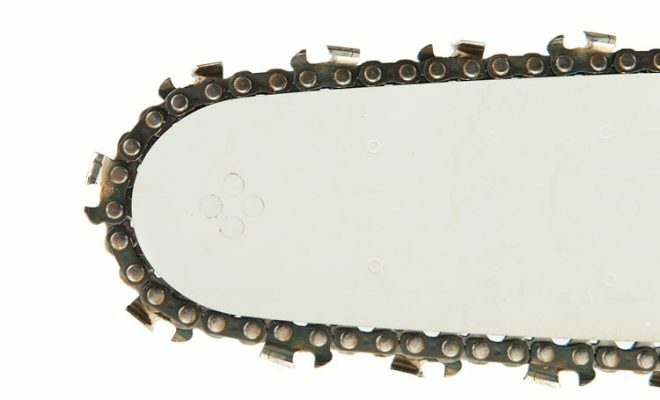 As you can guess from their names, abrasive blades are made of diamonds applied to a metal mesh. When cutting metals, diamonds are dyed and the mesh is erased. It may seem that everything is simple, but there is a thing here: different blades are meant for different metals. The softer the metal you are cutting, the more rigid the mesh at the blade base should be. For cutting carbide materials, you should use elements with a softer base. Why? – you may ask. – This seems stupid. Everything is simple: when cutting soft alloy metals, the destruction of diamonds is slower. In this case, the blade must have a rigid base. Otherwise, the diamonds will simply fall off. When contacting the carbide material, the cutting part is renewed faster, which is facilitated by a soft base. A carbide-tipped blade is an element of high-strength metal with tungsten-carbide-tipped teeth with a hardness of 80 according to the Rockwell A scale. Such blades are much more expensive than abrasive ones, but their price is fully justified, even if you simply replace them with new ones, rather than sharpen them, that is very difficult to do without special equipment. They have higher cutting speed and less temperature impact on the blank. But, if there is corrosion on the metal, the teeth will quickly become dull. Therefore, these blades should be used for stainless steel or metals without rust. Another important thing to note when choosing saw blades is the number and inclination of teeth. For sawing non-ferrous metals, we recommend using blades with 64 teeth and more. While blades with a negative angle of teeth inclination are best for working with a thin-walled profile, blades with a positive angle – for thick-walled metals. When choosing a chop saw, you should also note its external and landing diameters. Most manufacturers produce blades with an external diameter of 85 to 700 mm and an internal (landing) diameter of 20 to 25.4 mm. Most common elements have a landing diameter of 22.2 mm. If you can’t “land” a blade, this is half the trouble, you simply will not be able to use it. It is much worse if the blade hangs loose. The blade must be firmly attached to the spindle. You must not use blades with a diameter bigger than allowed by the manufacturer for this model. All blades with an external diameter of 200 mm must be attracted by a flange. Besides that, all blades are designed to be used with a certain linear and maximum speed. The first parameter is the ratio of meters per second to the circumference. The second is the rotation speed (r/m). If the speed of rotation of the saw spindle is much bigger than the blade speed limit, this can cause deformation due to overheating. The blade has a corresponding marking. Best of all, if it is not painted, but engraved with a laser. Remember that the cutting depth has a direct effect of the blade diameter, not the saw itself. The larger the diameter, the deeper the cut. The most popular tools are those with a cutting depth of 50-65 mm. Such chop saws are lightweight and do not require much physical efforts for their usage. For cutting thin materials, saws with sawing parameters from 40 mm are the best. Metal cutting chop saw is a tool of serious hazard. You must strictly follow certain recommendations when using it to avoid injuries. Do not pull the cord. Ensure that water and oil do not come into contact with it and that it does not come into contact with sharp objects. You must not overturn and rigidly fix a chop saw for stationary usage. Only blades with the corresponding landing diameter can be installed on the saw according to its instructions. To prevent damage, the saw must be connected to the power supply with the corresponding operating voltage. Before turning on the saw, you must ensure that the start switch is working properly. For safety reasons, use protective gloves, goggles, and earplugs. You must not use blades with cracks and other mechanical damages. When detecting a defect, such blade must be replaced. Large parts should be supported from below, next to the cutting line. Ensure that the casing is operational and check it before each start of the saw. Never touch the rotating blade. This can cause a serious injury. If the blade jams, turn off the power immediately. This will happen automatically when releasing the start switch. Do not leave the saw connected to the power supply unattended. Especially if you have small children. 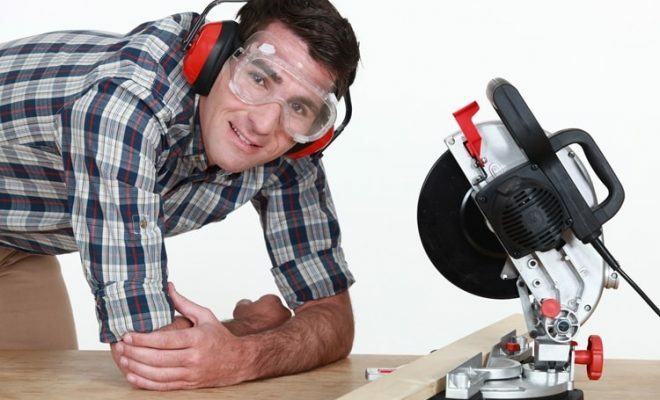 A good chop saw is not cheap, but it is reliable and safe. In the end, the choice is up to you. It all depends on your taste, needs, and tasks. 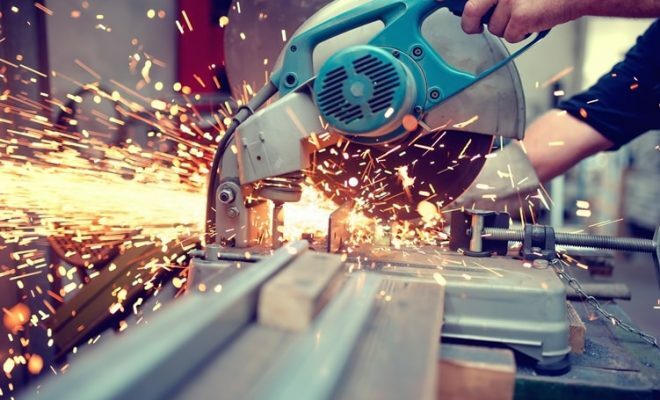 Be careful when using metal cutting equipment. Follow safety recommendations, this will help you avoid injuries.